Everything needed to open or start your pond off right! The Aquascape Spring Starter Kit comes complete with everything needed for a clean, clear and healthy pond. 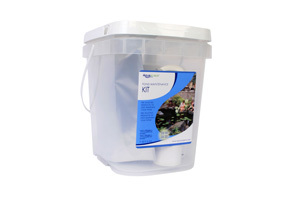 Not only does the starter kit treat your water, but it comes with everything you need to treat your entire pond. Comes complete with the following components: Pond Detoxifier 250 ml. Cold Water Beneficial Bacteria 250 ml.